Swimming pools are great summer fun, but the best way to make them more accessible is through solar heating. Pool heating increases a pool’s range of use, and out of all the available heating methods solar reigns supreme. Not only does harnessing the sun’s rays save you money, but it is economically friendly! Unless you live in a climate that is warm year round, like Florida, odds are good that your swimming pool has a limited range of use; Perhaps for only a few months! By adding a heater and raising the water temperature you can make use of your pool more often (maybe twice as much, or more!). Additionally, heating your pool will allow you to use it any time – swim a lap on a cool morning, or take a relaxing evening dip without being encumbered by a cold night. Not only will you have your pool more frequently available, but you have the benefit of knowing your source of energy – sunlight – is the ecologically responsible choice. We all know that resources are limited, and the best way to safeguard them is by using renewable resources instead. Using solar energy to power your pool decreases its carbon footprint so that you can enjoy your pool in good conscience! One of the greatest benefits of using solar energy is its cost effectiveness. Solar power is a long term investment. After the initial cost the upkeep is low because sunlight is free and plentiful. Bear in mind that if were you using an electrical heater your bill would fluctuate with the price of wattage, while solar power is far cheaper. Heating a pool is the best way to get the most out of it – you have already made the investment in owning a pool, so why not use it more often? 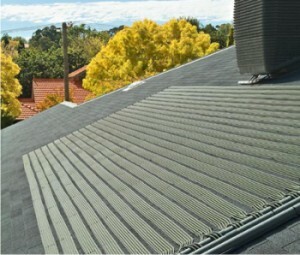 Solar power heating allows you to do just that, in a cost effective and environmentally friendly way. There are different kinds of solar powered heating systems out there so if you want to learn more click here!